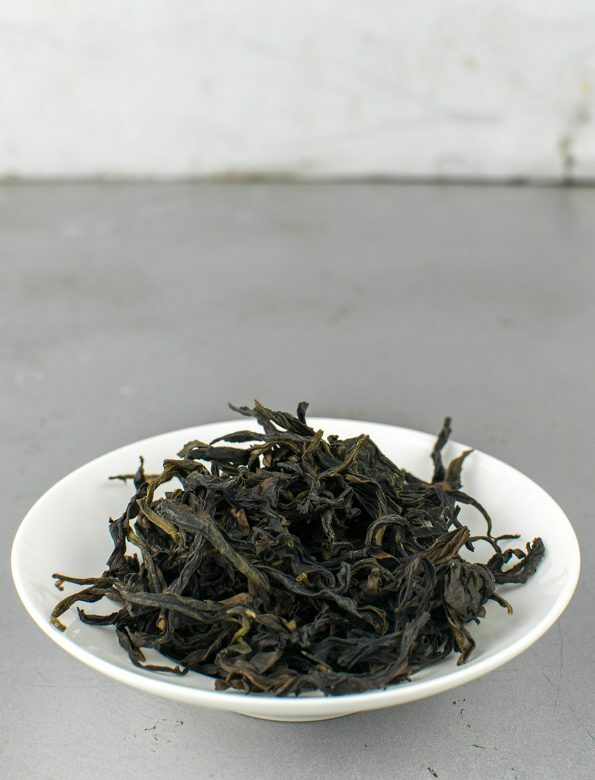 This tea is a special one amongst the usual wuyi teas for it was roasted only once and for this reason has more greenish character. Rougui (肉桂, cinnamon) is a type of rocktea (岩茶, yancha) from the Wuyi mountains. It has a thin layer of sharp greenness supplement by a mild nutty flavour that later turns into long-lasting sweetish aftertaste. Besides the rock teas’ strong chaqi, the relatively high caffeine content contributes to the joyful vitalizing effect that this tea has on the body. 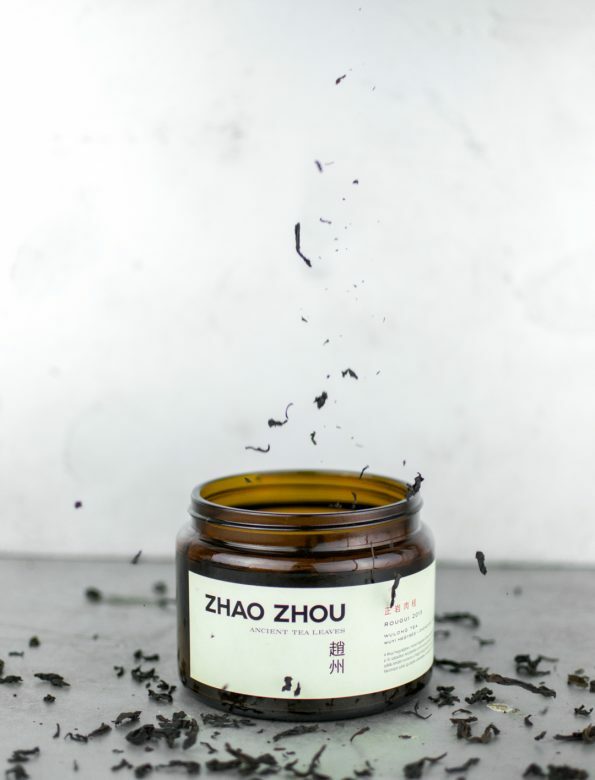 Wuyi teas have a two major idiosyncrasies: First, they are plucked only during Spring, and second, they are baked multiple times: a half year after the harvest time, then once again a year later. The Wuyi Mountains is situated in Fujian Province, China. With it’s more than a thousand-year-old history of teacultivation, and approximate 200 different subgenera of the teaplant, Camelia sinensis, the area is listed as a UNESCO World Heritage Site. The mountain’s vulcanic nature reappears in the character of the tea: fiery, vitalizing ambiance and strong chaqi.